White paper – office paper printed in black print. Colourful print (photographs) not acceptable. Inadmissible material: paper dyed in the mass. Bales held together only by metal wiring. Newspapers – only newspapers without the addition of other materials. Old newspapers that have turned yellow are not acceptable. Bales held together by metal wiring (if PP stripes are used, the price will be reduced by 10-20 Eur/t). Corrugated cardboard – bales held together by metal wiring (if PP stripes are used, the price will be reduced by: 10-20 Eur/t). May contain additional other types of paper, but not exceeding 10%. Free of hazardous or medicinal or food waste. Admissible moisture content up to 7%. Inadmissible materials – cardboard drink packaging and cores! 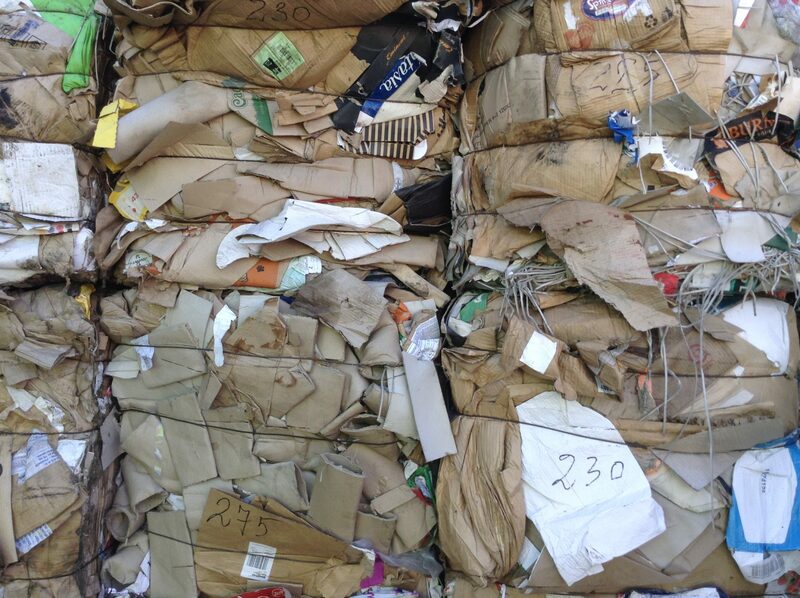 Waste paper mix – (paper, including shredded, newspapers, magazines, books WITHOUT covers). Free of any type of additional plastic, film, wood, glass, metal and other materials, without book covers. Bales held together by metal wiring (if PP stripes are used, the price will be reduced by 10-20 Eur/t). Free of hazardous, medicinal or food waste. Admissible addition of other type of paper mass (grey cardboard, wrapping paper, receipts, receipt tapes, BBC (breakfast cereal grey or white+brown) 5%. Admissible moisture content up to 10%. INADMISSIBLE MATERIAL: paper dyed in the mass (if the inside is colourful when the paper is torn), Tetra Pak, paper yellowed due to age, paper coated in a film. Cardboard packaging of drink – cardboard packaging of drink, both white and with foil. Bales held together by metal wiring (if PP stripes are used, the price will be reduced by 10-20 Eur/t).